How is made a can of sardines in oil? Sardines have many properties. Since it belongs to the bluefish group, it is a great source of omega 3. It is also a food rich in calcium, vitamin B12 and vitamin D, and provides high protein content and a significant amount of iron and phosphorus. All these properties provide a number of benefits to our health. The high content of Omega 3 helps to regulate high levels of cholesterol and triglycerides. The intake of calcium, vitamin D and phosphorus is essential for our bones and teeth. Sardines are the only natural source that can provide us Vitamin D, which is crucial for absorbing calcium properly from food. As it gives us lots of protein, it is highly recommended for muscle development. For this reason, the intake of sardines is recommended during childhood, adolescence and pregnancy. In all these list properties and advantages of the sardine, we should add the fact that being canned increases profits and adds more advantages. One advantage of canned sardines or canned food in general, is that they are provided of protection against oxygen and light, preventing vitamins and product properties from being destroyed. Also, due to the canning process, the unsaturated fatty acid percentage increases. Moreover, especially in sardines, we increase the calcium content which is mostly found in the spine. 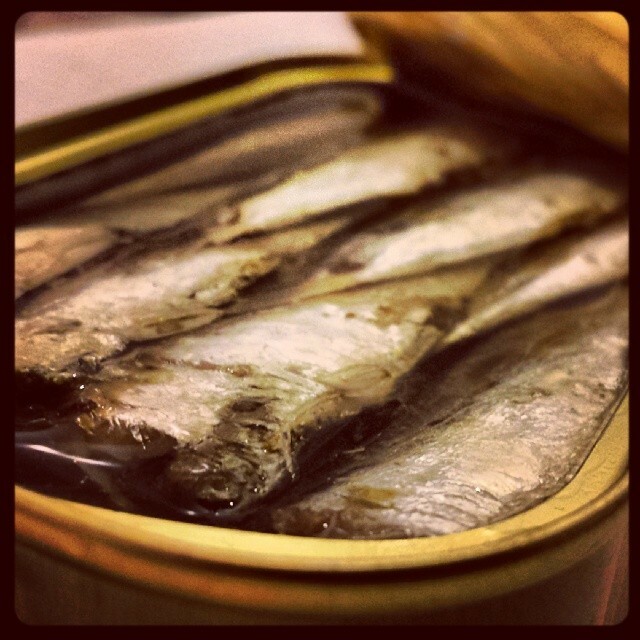 During the canning process, the sardine is subjected to a heat treatment that softens it. 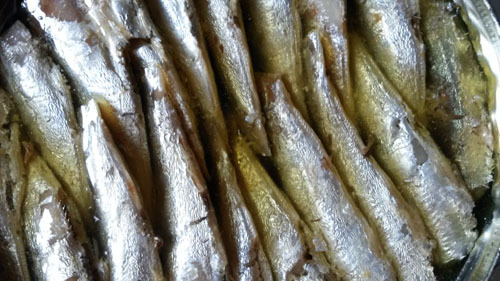 When eating canned sardines, we usually eat the spine; therefore, we are getting all the calcium from it. As the spine has been softened during the process, much calcium from it is transferred to the meat. 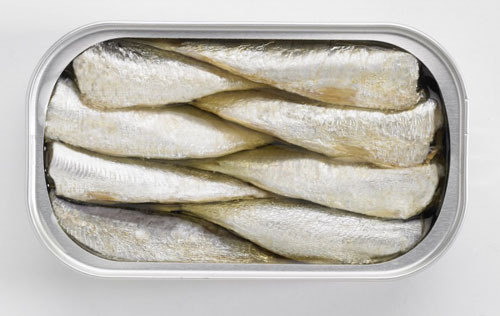 Fresh sardines contain approximately 50 mg of calcium per 100g of sardine. Once it has been canned, this level may increase and reach 200 and 250 mg.
3. How is made a can of sardines in oil? Few hours after being caught, sardines arrive to the port and are sent to the factory where they will be packed. Firstly, they go through water that cleans them. A pinch of salt is added to the meat in order to make it stand firm. Then, the tail is cut; head and viscera removed, and the remains are washed again with salt water. All this process is handmade. They are placed in cans and cooked in steam ovens at a temperature of 100 °. After being salted and depending on the variety, oil, pickle or tomato sauce is added. Finally the cans are sterilized at 120 °. Ramón Peña Sardines in olive oil (20/25 units) "Black Label"
Olive oil: Usually, canned sardines are found in oil, which it may be olive or vegetable. You would always find the good quality ones in olive oil. If an extra virgin olive oil is used, it will be pointed out on the box. A good canned sardine simply contains olive oil and salt. Look carefully the product label; they should not contain any other additive or preservative. Spicy olive oil: The spicy version of sardines in olive oil is the result of adding pepper in the can. Pickled: Marinade is a sauce made from oil, vinegar, spices and salt. In tomato sauce: These sardines are made with a sauce made of fried tomato and onion. Smoky: Sardine goes through a smoking process that gives it a very distinctive aroma and flavor. Sardinas: Medium large sized sardine. A can of 80-90 gr. may contain 3-6 sardines. Sardinillas: Small sardine. A can of 80-90 gr. may contain from 12 to 22 sardines, approximately. Convenience: Having at the pantry a can of sardines or any other kind of canned fish, such as tuna or bonito, might help us when we are in a hurry. Is there something easier than opening a can and eat its content? Improves with time: Due to its long shelf life, canned sardine improves like so does wine. Thorn will soften gradually and the scales become a fat that makes them more mellow and tasty. Saves time: Unfortunately, nowadays we are always in a rush, not having much more time for almost anything. 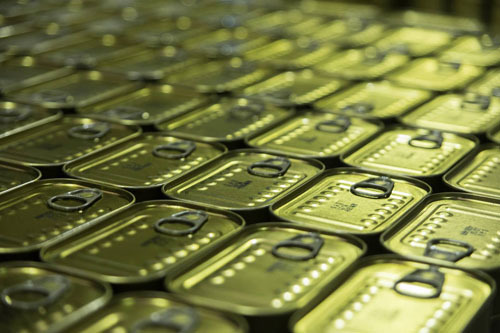 Preparing a meal based on canned fish would save us loads of time. In a few minutes you can prepare a sandwich, a salad or even just open the can and eat its content. 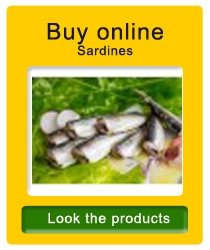 Economic: Due to its abundance, sardine is one of the cheapest fish. Cans of sardines also have very low price. However, you should consider that those prices may vary depending on the quality of the product. For example, sardines in olive oil, handcrafted and placed one by one inside the can, are expensive; but their quality is excellent. Mediterranean diet: Sardines accompanied with a tomato salad, garnished with lemon, a slice of whole wheat bread, a glass of wine and a piece of fruit, would give to our body all the needs of the Mediterranean food’s pyramid, because we would be giving carbohydrates, protein, vitamins, fiber, sugars and liquids. With bread: A good sardine sandwich with tomato or oil feels gcanned sardines' recipesood at any time. It’s perfect for breakfast, as a snack, for dinner or even to take it away when we are on a trip... It will also taste great on the top of toasted bread with grilled vegetables (roasted red pepper and eggplant, for example). 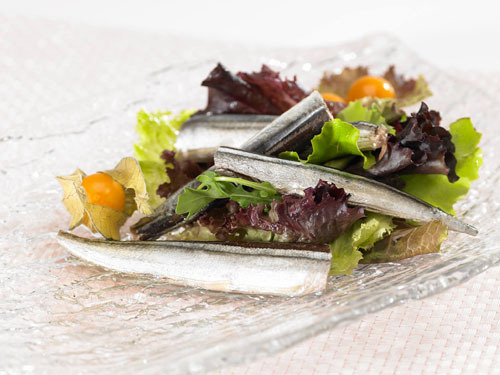 In a salad: Adding a couple of sardines in a green or tomato salad is the key for enjoying a nice and tasty dinner. When it is summer, little pieces of sardine would bring to our pasta or rice salad a unique flavor. Pizza: Make a pizza with any kind of vegetables (peppers, onions, mushrooms, leek, etc). Once it is out of the oven, add a few sardines in oil as a topping. Appetizer: Prepare in a plate a combined appetizer made of cockles, mussels, clams, stuffed olives, cuttlefish, razor clams and sardines!!! Cherry tomato and sardines brochette: Combine cherry tomatoes and sardines in oil or pickled on a skewer, delicious!!! 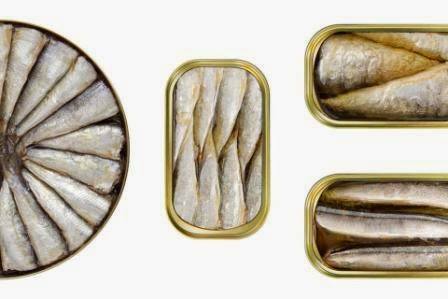 In a nutshell, a can of sardines is a complete, healthy, simple and affordable food.